Whatsapp is a popular messaging app among people of different status. It makes for enscripted sending of messages and enscripted chats. Despite it's so many functions, it's still restrict certain functions on it's authentic app. This didn't go well with many and many variant of the app was created. One of such variant is the OGWhatsapp. Although as privy as the original whatsapp is, the new version - OGWhatsApp V6.89 has functions like theme change, no popups etc. • Hide Online Status: You can hide the online status. What would be displayed to others will be - 'not connected'. However, your last login date will be visible. • Hide Blue Ticks: Once you've read a received message from any of your contacts, blue ticks would appear on the sender's end. With OGWhatsapp, you can choose to deactivate it. • Hide Second Tick: You can hide second ticks for contacts and group upon any delivered message. This creates an uncertainty in the side of the sender. • Hides Writing Tick: You can hide the writing tick for contacts when you are typing a message. • Hide Recording Status: You can hide recording Status for contacts and group when recording voice note. You can also swipe up the micro icon and keep it recording without persistent click on it. • Hide Blue Microphone: You can hide Blue Microphone for contacts and group when you open received voice note. • Hide View Status: You can hide your name when you view any published status of your friends. • Anti-Revoke: You can read your friends’ messages even if they delete them after they are sent to your phone. • The update for the app extends the validity of the version to 20/6/2019 until the new base update is completed. • Solve the problem of closing the WhatsApp when opening a new conversation. • Many other negligible fixes. Whatapp and it's similar app usually depends on alreaddy backed up files when the app is uninstalled or if you want to make an update. This is so as to get all messages and chats intact. Before downloading OGWhatsApp, back up your data. To do this, Go to Settings on your current whatsapp then click on Chats then Backup. Now, go to your file manager in your Android device and change WhatsApp folder name to GBWhatsApp3. You can then proceed to download your new whatsapp app. • Upon downloading the app from the link above, install it on your android device. 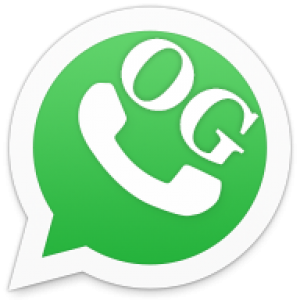 • Now, launch the OGWhatsApp and click on AGREE AND CONTINUE. • Click on Allow OGWhatsApp Access, if you see the message. This will allow you to continue to the next stage. • Enter your mobile number and verify your number. • Wait for your Backup to restore and proceed!